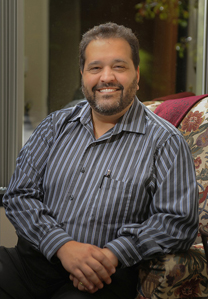 Dr. Don Fernando Azevedo, Ph.D. is a clinical psychologist specializing in marriage and family therapy. With over two decades of experience helping families navigate difficult challenges successfully, Dr. Azevedo provides a calming presence in turbulent times. Over the years of helping some marriages heal and some marriages transition into new families, Dr. Azevedo was troubled by the pain and damage that can happen when families find that divorce is the best solution to the problems they face. In seeking alternatives for the families he serves, he discovered attorneys practicing collaborative divorce, a process that uses non-adversarial, transformative conflict resolution and settlement negotiation to help families divorce more peacefully. He is a member of the attorney-psychologist team that guides families through the process of divorce and design the best solutions to raising their children jointly.Dr. Azevedo earned his doctoral degree from the University of Tennessee-Knoxville. Upon completing his internship at Walter Reed Army Medical Center, Dr. Azevedo was assigned to the 101st Airborne Division. He served as the Division Psychologist during the 101st’s deployment to Operations Desert Shield and Desert Storm. In the aftermath of that action, he helped many families regain their footing after reintegrating their soldiers. He also began to experience the unnecessary pain and destruction that can come with traditional divorce proceedings conducted through adversarial processes. This experience inspired him to go find the best ways to repair marriages. In 1995, he encountered the PAIRS (Practical Application of Interpersonal Relationship Skills) program. The skills taught to couples in PAIRS helped him revive many more marriages than he had before, but there were still a significant number for which the best solution was to seek divorce. In the late 90’s and early 2000’s, the primary method for divorce was the adversarial court system. Although that system has its role in some cases where the animosity between the couple requires the safeguards it affords, it is not the process that best serves the majority of families seeking to transition out of a marriage. In 2008, Dr. Azevedo was introduced to the Collaborative Process for divorce. In 2010, he began the Families in Transition program at 3-C Family Services to train and provide collegial support to the clinicians who wished to help families through this change. In 2012, he began studying a new method called Discernment Counseling to help couples struggling to understand the future of their marriage. Discernment Counseling helps couples develop clarity and confidence about the decision to stay the same course they have been traveling, divorce, or begin focused marital therapy to try to heal the marriage.